A homemaker in Murshidabad's Lalgola has lodged a police complaint, accusing her husband and in-laws of getting her right kidney removed in exchange for money on the pretext of an appendicitis operation at a Calcutta nursing home two years back. 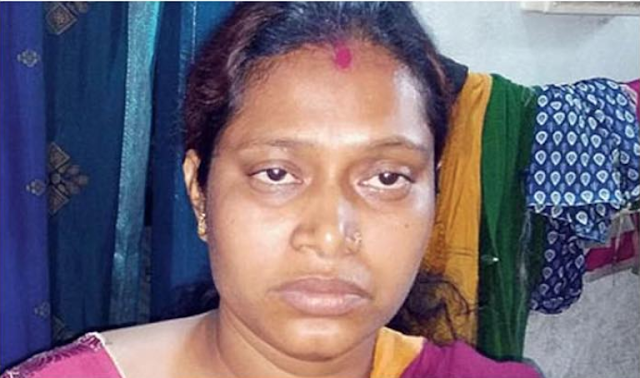 Rita Haldar, 28, lodged the complaint with the Farakka police on February 2, naming her husband, Biswajit Sarkar, mother-in-law and brother-in-law. When the woman had complained of an abdomen pain two years ago, Sarkar discussed the matter with his mother and brother and took her to Calcutta for treatment. "Before going to the doctor in Calcutta, we had put up at a relative's house. I was given soft drink at the home, after which I felt drowsy. We went to a nursing home to consult the doctor who told me that I needed immediate operation for appendicitis. The next day, I was operated on," said Rita. After a few months, the homemaker started feeling unwell. "I went to Siliguri to visit a cousin. I started having a lower back pain and visited a doctor at the North Bengal Medical College and Hospital (NBMCH) who prescribed an ultra-sonography. The USG revealed my right kidney is missing. I was shattered," said Rita. The woman who has an 11-year-old son underwent another USG at a nursing home in Malda and confirmed that her right kidney was missing. The USG reports also revealed that Rita's left kidney had become enlarged. "Doctors at the NBMCH told me that there was infection in the left kidney," said Rita. Inspector-in-charge of Farakka, Udayshankar Ghosh, said: "We have charged three persons with an attempt to murder and bride torture." The tradition of marriage dowry, paid by the bride's family, persists in many parts of India.